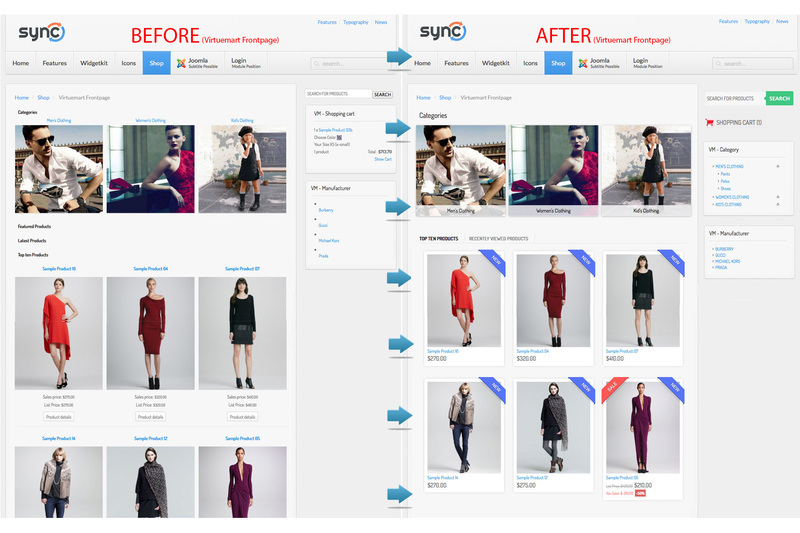 Virtuemart 3 Template - CleanMart. See what CleanMart can do. 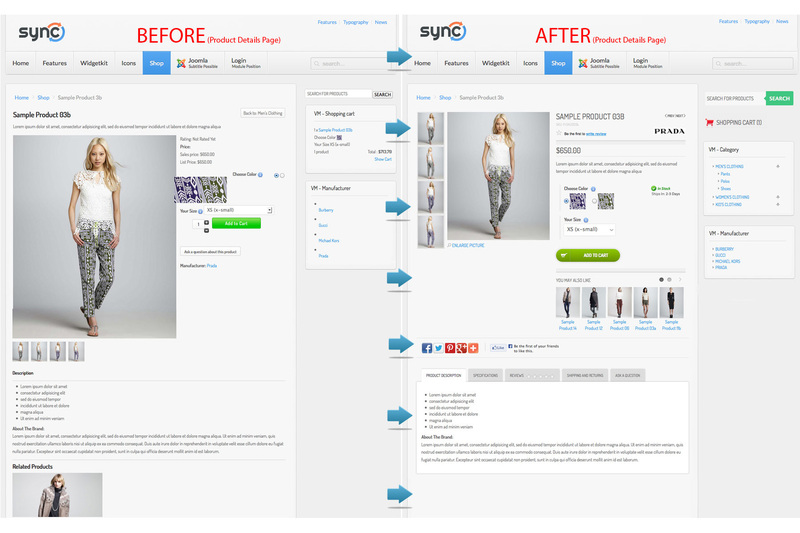 Virtuemart 3 Template Cleanmart is integrated to your current joomla template. It changes layout of only Virtuemart-related pages withing the "content" area. 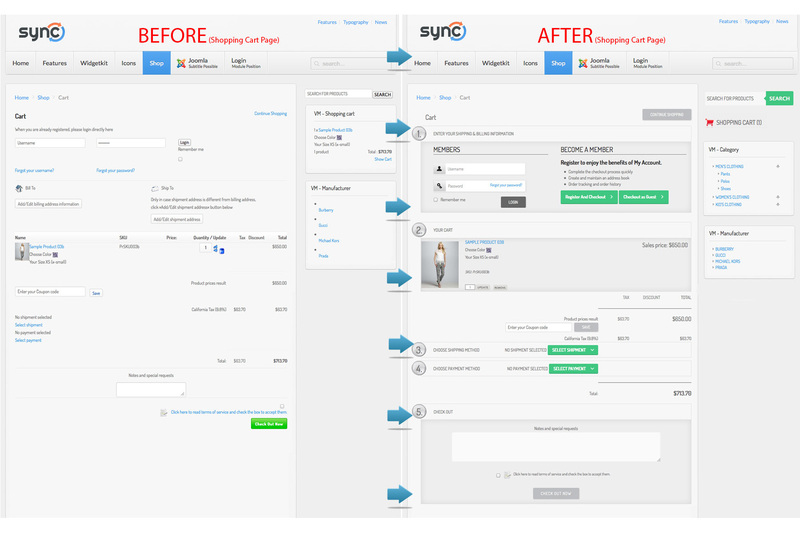 Those pages are VM Frontpage, Category Page, Product Details page, Shopping cart page. Other pages, modules, menus and the rest will remain being controlled by your current joomla template. 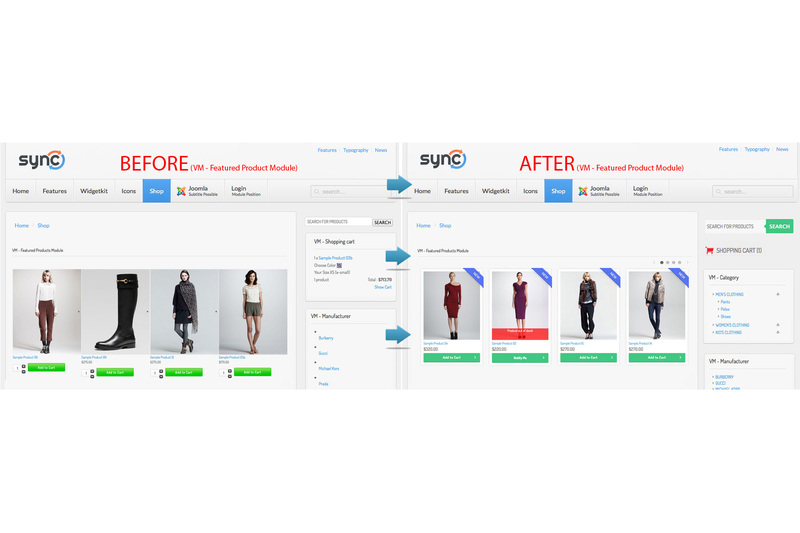 Ajax-Powered Dropdown Shopping Cart Module lets you add/delete products to/from shopping cart by AJAX requests (without refreshing the entire page). CoolMart will transform your regular/plain search module into an awesome Apple-Inspired Expanding search Module. Thanks to Apple for this wonderful idea. mouseover to zoom, click to enlarge.. Visitors are able to switch the browse layout easily by clicking the "switch view" button! 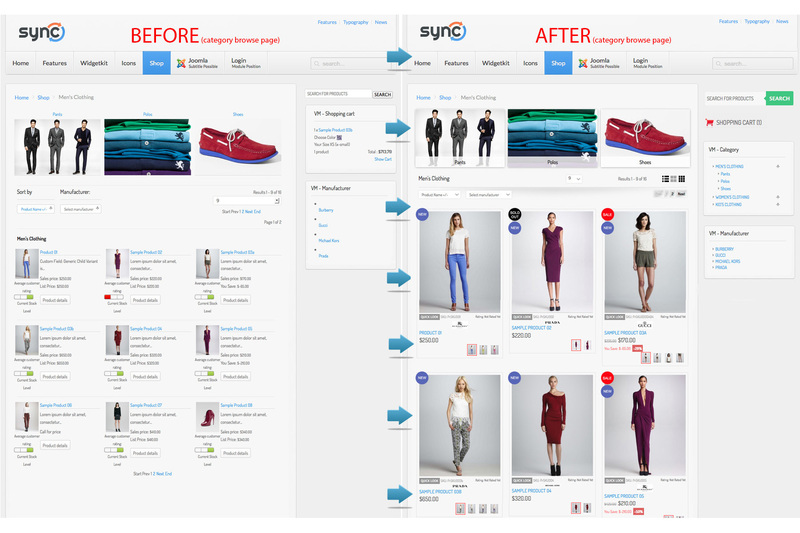 CleanMart comes with 2 different category browse page design. Each category browse page layout has 3 different view options: ListView, GridView, MultiGridView.